Applications for the Bread Loaf Conferences programs are accepted via the Submittable online application program. There is a $20 application fee. * Applications differ depending on the program but generally consist of a request for basic contact information and a few short questions about the applicant’s experience and what the applicant hopes to gain by attending the conference. It’s possible to apply simultaneously to more than one Bread Loaf program, and within each program to apply in more than one genre. A separate application (and application fee) is required for each program and genre. The general contributor/participant application requires a writing sample (in some cases this can be either published or unpublished--see each program’s Manuscript Guidelines page for details). Applicants should submit their strongest work with the application. Following acceptance into a program, participants send a replacement manuscript for workshop critique. Auditor applications do not require a writing sample. Auditors attend the conference without a manuscript and do not have their work evaluated. Financial aid is available for BL Writers’, BL Environmental, and BL Translators’ (unfortunately, we are not able to offer financial aid for the BL Sicily program at this time). Most categories of financial aid are merit based and require a writing sample. Though publication is a requirement for some forms of financial aid, such as the tuition scholarship and fellowship for the BL Writers’ program in August, it is not a requirement for most categories. While the Middlebury Student Scholarship for current undergraduates at Middlebury College is available for BL Writers’, BL Environmental, and BL Translators’, other categories of financial aid differ for each program. See each program’s Application & Acceptance page for details on categories and requirements. Recommendation letters are not a part of the Bread Loaf Conferences application process (with the exception of the Middlebury Student Scholarship application, which requires a recommendation from a Middlebury College instructor). Each year Bread Loaf invites editors, agents, and others working in the creative writing field to submit nominations for certain categories of financial aid, but a nomination is not required. The applicant’s work is of paramount importance to the admissions board readers. The application deadline for BL Writers’ is February 15. Decisions are made after all applications have been reviewed, and notification letters are sent via email in late May. BL Environmental, BL Translators’, and BL Sicily have rolling admissions. The application period for BL Environmental and BL Translators' is October 15 to February 15; the application period for BL Sicily is October 15 to April 15. Applicants are notified within four to six weeks of submitting an application. All Middlebury College Student Scholarship applications are due by March 1, and students receive notification by April 1. Early applications are encouraged for all programs, especially for those offering rolling admissions as the spots are limited and fill quickly. See each program’s Application & Acceptance page for details and the link to applications. *An application fee is not required for the Middlebury Student Scholarship application, which is available to current Middlebury College undergraduates. 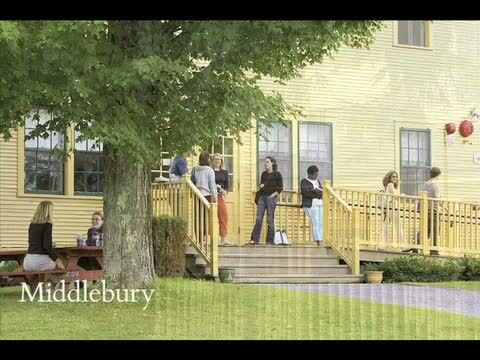 **Work-study scholars for the BL Writers’ August program are employed by Middlebury College. International applicants must contact Middlebury College’s International Student & Scholar Services office (isss@middlebury.edu) to verify eligibility before applying for a work-study scholarship.